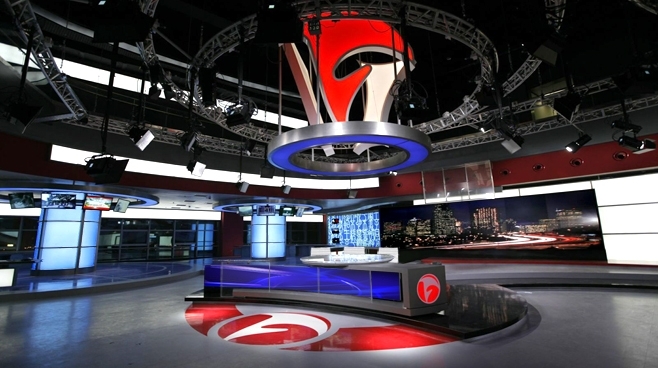 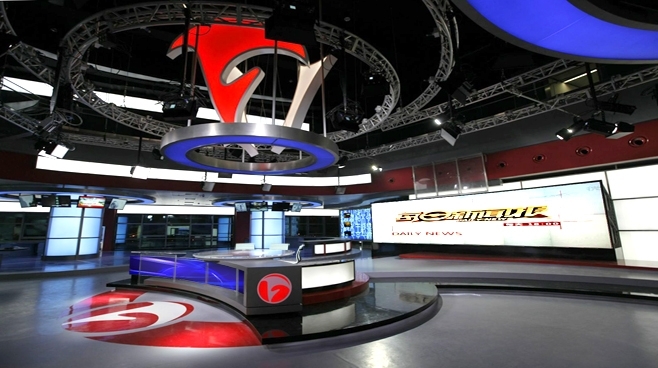 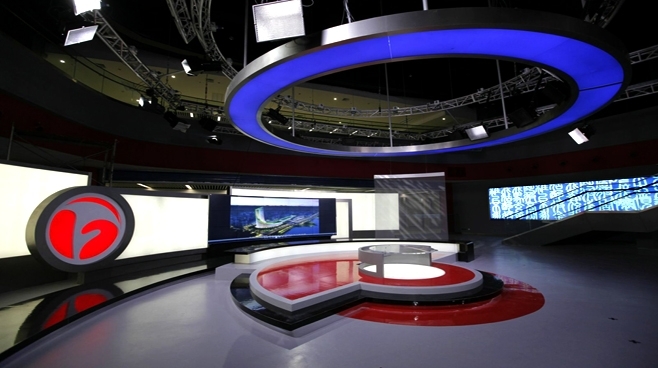 Anhui TV, a 24-hour news facility in South Western China partnered with Broadcast Design International to develop a contemporary 2-story news studio and HD Set. 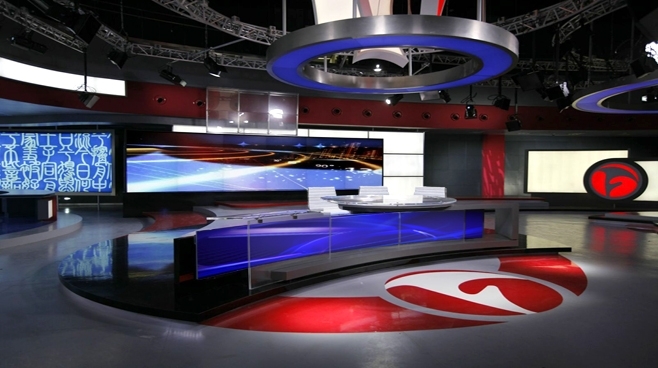 Sets are complete with a custom lighting grid and grand staircase positioned to bring harmony to a competitive news environment. 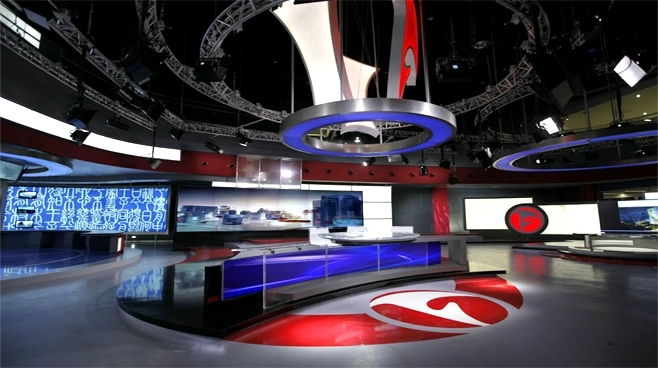 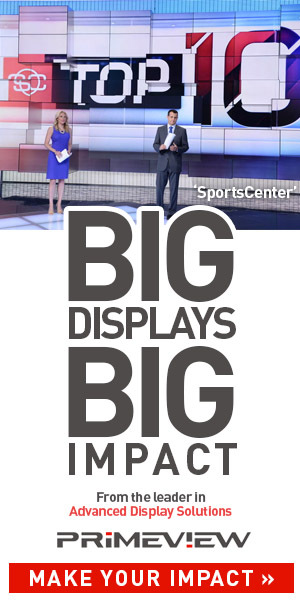 BDI created multiple camera positions within the design to maximize versatility and help differentiate them from a growing news region. 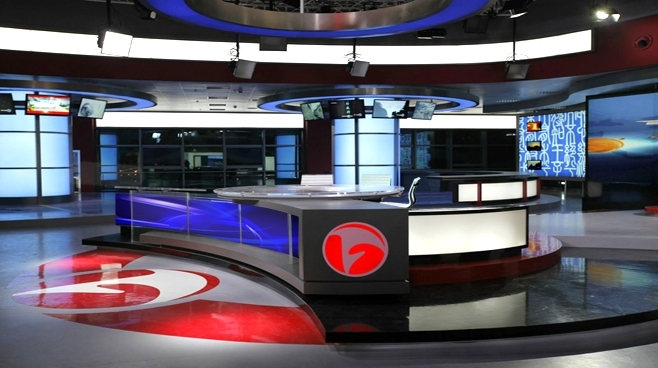 BDI coordinated the construction by local fabricators along with their partners, Socam and provided Lighting Design and Direction. 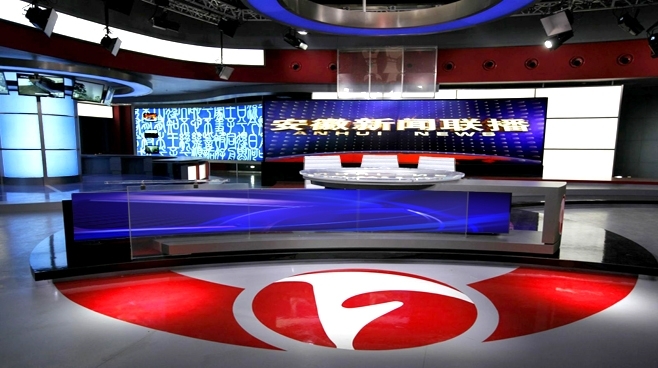 Incorporating the latest in touchscreen technology, video walls and color changing versatility, Anhui TV is a flexible news star that will serve the clients well for many years.